Every month, half a million visitors download The Fat-Burning Man Show, eager to learn the secret of Abel James’s incredible weight-loss success. Growing up on a defunct farm in the backwoods of New Hampshire, Abel had easy access to a host of natural foods that a backyard garden could provide: eggs, fresh produce, and real butter. But as he got older, he started eating a "modern diet" of processed foods, and by his early twenties, Abel found himself with high blood pressure, insomnia, acne, digestive problems, and love handles. Following the typical dieting advice of “eat less, exercise more,” and despite running thirty miles a week and nibbling tasteless, low-fat, low-calorie food, his health only worsened as his waistline expanded. In an effort to gain control of his health, Abel dug deep into nutrition research and discovered that everything he’d been told about low-calorie eating was wrong. He realized that our bodies are wired to eat luxuriously—and burn fat—as long as we’re eating real, natural foods that are grown on a farm and not in a factory. Incredibly, after just a few days of eating a Paleo-inspired diet of the most delicious "wild" foods that were rich in fat and fiber, Abel’s health problems began to disappear. And after forty days—and radically cutting back his exercise routine—he had lost twenty pounds. 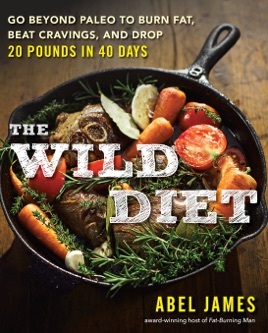 The Wild Diet is the book Abel’s hundreds of thousands of fans have been clamoring for. At a time when our collective health is failing, Abel sounds a clarion call to announce that good health doesn’t live in a pill, exercise program, or soul-crushing diet. The secret is simply getting back to our wild roots and eating the way we have for centuries. Tastiest "diet" advice you'll ever read! 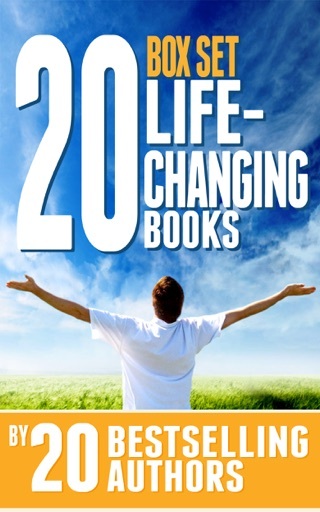 Read this book and start following Abel James' podcasts too, and be forever changed for the better/happier! You'll learn how to eat delicious whole foods and feel better than ever, all while breaking typical diet rules...so fun to be so rebellious in this lifestyle! It is an enjoyable and easy read, and the information goes against what you've probably heard unless you've delved into some paleo-type living already. Expect results, expect to feel great, expect to get questions from friends about how you can eat so heartily yet succeed in all of your wellness goals! I'm the typical American; grew up on a steady diet of junk food and sugar, and my health really suffered for it. At 35 I was 65 lbs overweight, persistently exhausted and stressed. I discovered Abel's podcast and this book which started me down the path of low carb, healthy fats and whole foods. Within just 3 months I was down to a healthy weight, sleeping great, less stressed and performing better at work. I can't suggest this book and his podcast enough. Great food, no need for unsustainable calorie restriction. Abel is such a sincere, openminded guy that I was sure that my natural cynicism would prevent me from taking him seriously, but the guy knows his stuff. Personally, I did have to decide to forgive his occasional forays into pseudoscience, but I think his respectful curiosity is one of his strengths. I couldn't be happier with This book. Converting to a healthy lifestyle is a personal journey and even if you know the information, sometimes you just need to hear it in the right way. This was the right way for both me and my husband. We watched "My Diet is Better than Yours" and I ordered this book after the first episode. I blew through it and then so did my husband. 2 weeks ago we got rid of every last bit of sugar and chemical food in our house. Guess what? It isn't hard to eat on the Wild Diet! We are both down 10 pounds each in just as many days, we have more energy AND we are eating delicious foods! Buy this book. I've been 40 pounds overweight for almost 5 years and this is the first time I've felt this good in much longer than that. Thanks Abel!